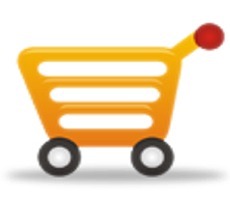 Safco 3250BL Onyx Mini Organizer - Qty. 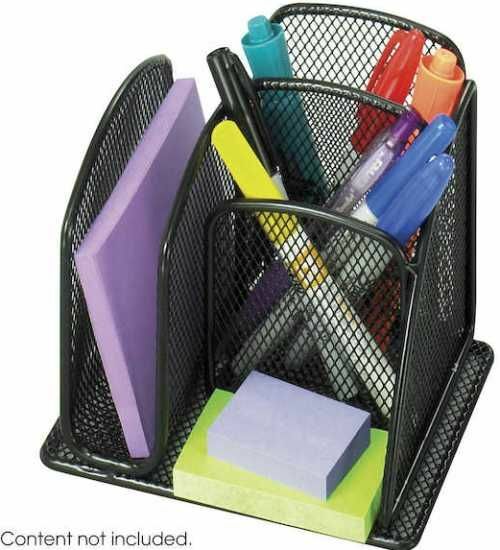 6, 5.25" - 5.25" Adjustability - Height, Wire mesh desktop organizers, Aid in easy office organization, Steel mesh design, Durable, black powder coat finish, Two small compartments, UPC 073555325027, Packed six per carton. The Safco Onyx Mini Organizer is a compact organizer perfect for any desk�s sorting needs with minimal space requirement. It has a side compartment for pads and notes and two small compartments that can be used to store pens and other small items. A small open space is also available for keeping other items like cell phones and smaller notepads. This compact storage unit is made of rounded steel and steel mesh with a powder coat finish. Adjustability - Height 5.25" - 5.25"